+ 3 = nine Required Please enter the correct value. The Dow Jones Industrial Average jumped over 100 points in pre-market trading as markets rebounded from an ugly trading session on Thursday. Yesterday, the Dow shed over 300 points as investors fretted about rising interest rates and ongoing tensions between the United States and Saudi Arabia. The lone bright spot in the markets was found in Canada, as investors celebrated the full legalization of marijuana for the roughly 37 million people. It's America's most exciting and controversial industry – and former Speaker of the House John Boehner believes it's time to go "all in." On Oct. 23 at 1 p.m. ET, he's joining our esteemed panel to help you make a fortune from America's $10.8 BILLION green gold rush. Your attendance to this historic event is 100% free of charge. All you have to do is click here to register and reserve your spot. Investors are fretting about the ugliest growth numbers out of China since the global financial crisis hit in early 2009. The world's second largest economy grew at 6.5% in the third quarter, a figure well below economists' expectation. China is facing a double whammy of tariffs on $250 billion in its exports and failed efforts by the government to roll back debt. Many investors are starting to fret that an ongoing trade war could spread to the U.S. economy and fuel a recession in America by 2020. Once again, Italy's debt problems are creating headaches for investors across Europe. The nation's bond yields spiked after the EU issued a warning about Italy's mounting debts, which sit at 130% of its GDP. We could potentially see credit ratings agencies downgrade the nation's credit level, a move that would send rates even higher. Ongoing tensions over Saudi Arabia and the United States hit new problematic highs Thursday as the latter toughened its stance over the disappearance and apparent murder of journalist Jamal Khashoggi. U.S. Treasury Secretary Steven Mnuchin has withdrawn from attending the "Davos in the Desert" summit set in Riyadh next week. Meanwhile, U.S. President Donald Trump warned that the backlash over the journalist's death would be "severe." Yesterday, FOX Business Network's Stuart Varney called on Money Morning Chief Investment Strategist Keith Fitz-Gerald to tell us: What is the connection between Saudi Arabia and the Dow's 300-point sell-off? Keith answers that question right here. 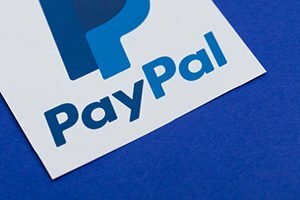 In earnings news, shares of PayPal Inc. (NASDAQ: PYPL) popped more than 6% after the company shattered earnings expectations yesterday. The firm reported earnings per share of $0.58, a figure that topped expectations by $0.04. In addition to stronger revenue expectations, the payment company reported a 15% jump in active accounts. The firm now has roughly 254 million accounts in service. Expect a lot of chatter about Amazon.com Inc. (NASDAQ: AMZN) and its second headquarters on Friday. The company has been making rounds of visits to candidate cities to explore incentives, infrastructure, and other critical factors. The company has reportedly visited New York, Chicago, and Newark, among other cities. One of the most bullish reports for Apple Inc. (NASDAQ: AAPL) yet was released in new coverage from analysts at Wedbush Securities. The investment firm has added Apple to its "best ideas" list and set a whopping price target of $310 per share. That price is a 43% premium from Thursday's closing price and would press Apple's market capitalization to nearly $1.5 trillion. Wedbush argued that market demand expectations for Apple's latest iterations of iPhones and its associated profits are too conservative. Today, look for earnings reports from Honeywell International Inc. (NYSE: HON), Procter & Gamble Co. (NYSE: PG), State Street Corp. (NYSE: STT) and VF Corp. (NYSE: VFC).